17°C, Clear with light W.
Betws-y-Coed: used my DofE discount card to buy some kit. Firstly, an expedition rucksack. After trying on many, I got the Lowe Alpine 65 litre. It seemed to fit the best. Next, a Rab bivvy bag. I’m looking forward to trying that one out. It’s quite roomy inside, I know because I climbed inside it tonight in the safely of my tent. The length is 7ft which should mean it puts no pressure on the sleeping bag thus reducing its warmth. Walk up some of the Watkins path. Set off at 20.00 and got up to the 400m amounts at the quarry beyond the Gladstone Rock. Snowdon was all quiet and peaceful, barely anybody was seen. The natural beauty of this place was all there, plain to see. This time of year, there is not any real need for lights, even at 10pm, but to be on the safe side, I did. This is not the time to stumble. 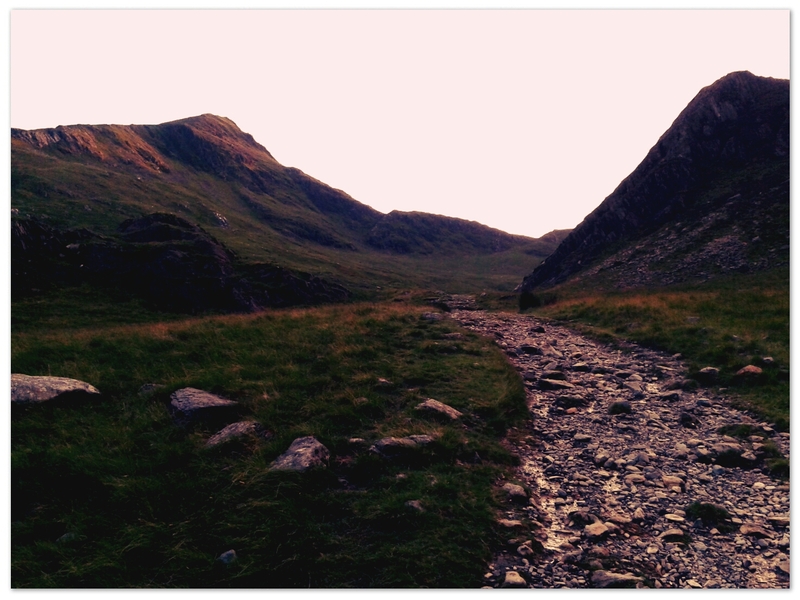 This entry was posted in Hiking, Weather and tagged camping, Snowdon. Bookmark the permalink.